There is a reason traffic picks up around the Landfall Community during the summer months. This beautiful and fun filled region we get to enjoy year round is a place where others choose to come for their well earned vacation. With world class beaches, access to the Intracoastal Waterway, great waterfront dining, and gracious concerts at nearby Airlie Gardens, Landfall is perfectly situated to take advantage of the great things coastal Wilmington and Wrightsville Beach have to offer. With the bridge to Wrightsville Beach right outside our Eastwood Gate, we are at the threshold of one of the best beaches on the United State’s East Coast. You can turn left at the Eastwood gate and be at the beach in just a couple minutes. One of America’s oldest yacht clubs in the country, The Carolina Yacht Club, is also nearby and thriving. The Oceanic Restaurant, which offers amazing views of the Atlantic Ocean while dining on their recently rebuilt pier, is just one of a number of restaurants on the beach. If one heads out the Eastwood Gate and turns just before the bridge onto Airlie Road, just a two minute drive, you have the choice of a number of fine restaurants that sit right on the Intracoastal Waterway. 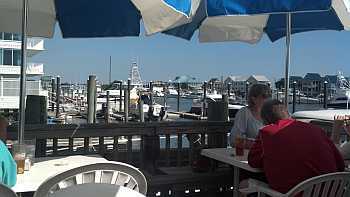 Dockside and Fish House offer more casual fare as you sit outside on the dock and watch the boats cruise down the Intracoastal with magnificent views of the natural wildlife and Wrightsville Beach. The Bridge Tender offers a bit more upscale dining with the same great view and more inside seating. Across the Intracoastal BlueWater offers a bigger experience and a fun Sunday afternoon party featuring live music during the summer. If you enjoy boating, Landfall offers many alternatives. You can bring your own boat or yacht and dock it at one of our world class marinas right outside the gates. A new phenomenon that we are enjoying is boat rental and boat club companies that have opened up nearby. Instead of having to maintain your own boat, these companies have them for rental so that you have the opportunity to explore the region at your leisure. If you are looking to experience a captain led cruise of the Intracoastal Waterway or the Cape Fear River, these excursions are also available as well as fishing charters with world class captains. For the more adventurous and athletic members of the Landfall community, there are a number of Paddle Board companies right outside our gates. They can either help outfit you and your family with paddle boards or rent them for you and your guests. It is a great way to see the area and get some exercise as well. If you are a surfer, there are businesses that cater either for purchase or rental on Wrightsville Beach. One of our hidden secrets are the world class surf camps held on Wrightsville Beach perfect for visiting grandchildren to learn a new skill while they are in town. The first and third Friday throughout the summer Airlie Gardens hosts a concert series on the lawn. The concerts feature top local and regional acts in a very elegant setting. It is a favorite of the locals and just minutes from Landfall on Airlie Road. From jazz to folk, classic Carolina Shag music to soft rock, you can bring a picnic basket and a bottle of wine and enjoy a relaxing evening in one of the most beautiful places in Wilmington. 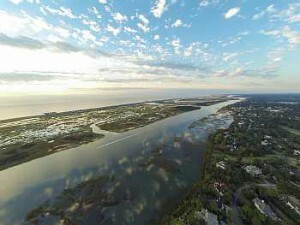 These are just some of the nearby highlights that you will enjoy living in Landfall. There is so much more to do in Wilmington and Landfall itself. If you want to learn more about Landfall and all our area has to offer, continue to follow our blog, call the office at 910-256-6111 to hear about our Discover Package or fill out our contact form. Our agents live in Landfall and can help you with any questions you have.